Have you noticed like I have that many libraries, media centers and classrooms serving children in grades Pre-K – 2 have stuffed animals sitting on shelves near books? Problem is…they’re just sitting there, bright-eyed, some of them bushy-tailed, but all of them lifeless until a child or literacy specialist or grade-level teacher brings them to life! "Would you be a lamb and read to me?" here and talk to it as if it’s real. Go ahead, be brave, try it and you’ll see that young children will be all eyes and ears, ready for what comes next. 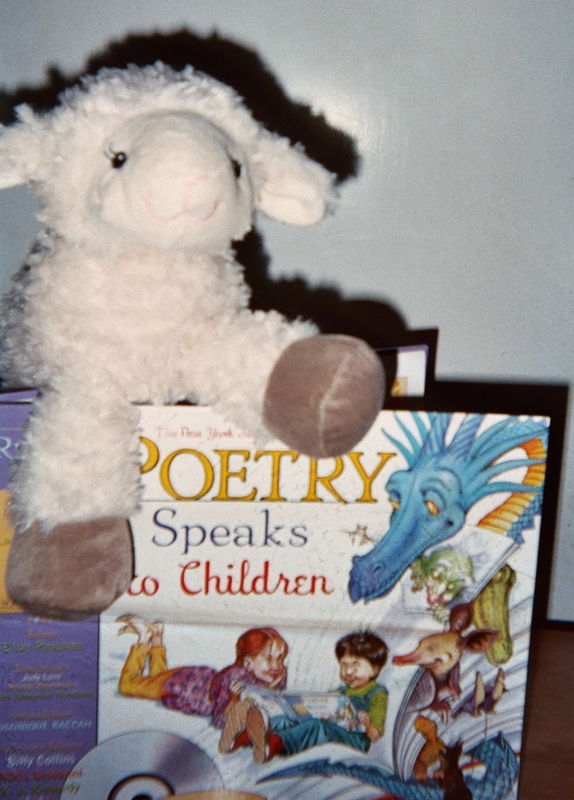 If you can find a small stuffed lamb like mine you can engage children in reading by asking a familiar (at least in English) endearing question…“Would you be a lamb and read to me?” That’s the exact question I’m asking in my blog pic with the book that the lamb and I are about to “share” with my class. No theater background required! Promise! You simply have to have the courage, sense of fun, and certainty of the power of animation to catch kids’ attention to effectively use cuddly critters as teaching tools. 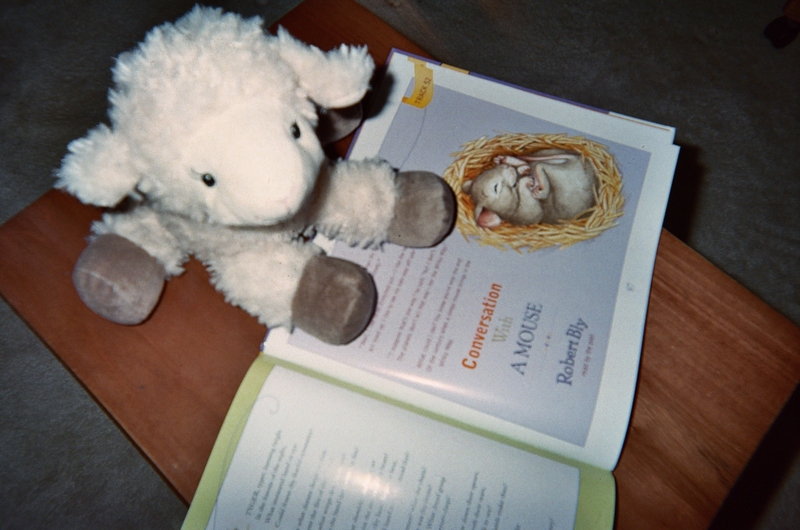 After I (pretended) to ask the little lamb to read to me, I pulled a “fast one” on the class and acted as if the stuffed animal had spoken back to me. I said, “Oh, I see, you want ME to read to YOU!” “Okay and let’s include this wonderful group of students too.” Just like magic, the children were quiet and ready for a story. The story, by the way, wasn’t about a little lamb, but it could have been. A stuffed lamb would be a great way to bring a familiar (English) nursery rhyme to life, Mary Had a Little Lamb. See what stuffed animals you already have to work with and select rhymes and stories accordingly. 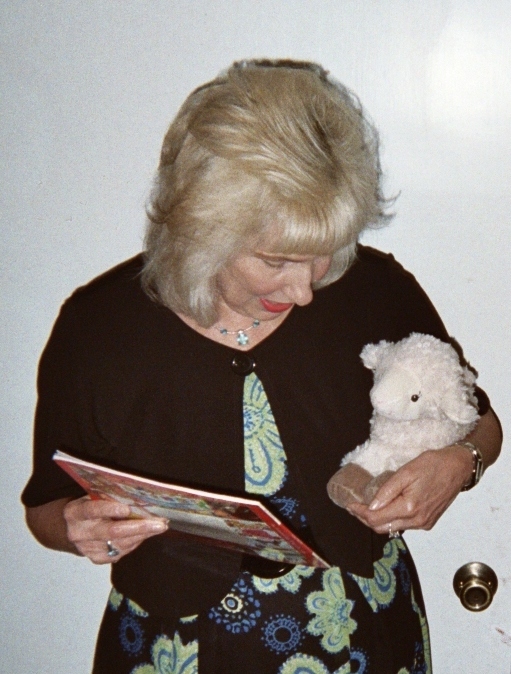 Delight Pre-K – 2 kids by setting a cuddly creature on a poem you plan to read to them, like you see in my blog pic here. Give the animal a name; I call my stuffed lamb Lucky Little Lamb…Lucky because Little Lamb gets to visit the book center in classrooms and read so many books in the library. "Lucky Lamb" brings stories and poems to life. 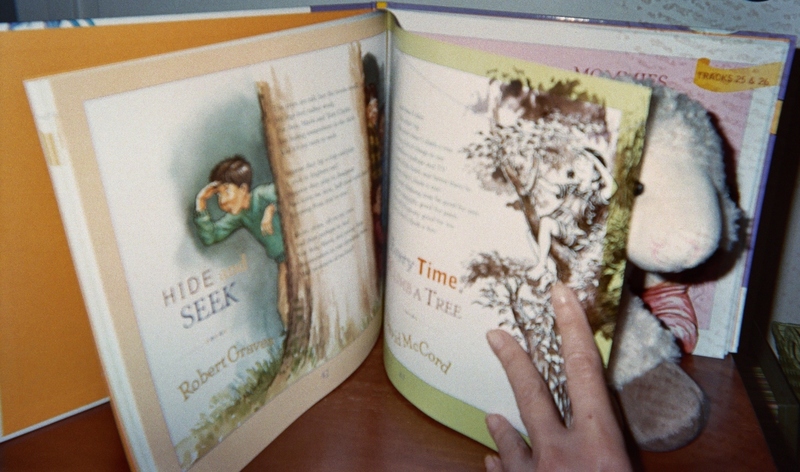 using a book and CD like Poetry Speaks to Children, a “New York Times Bestseller” (Sourcebooks, Inc. 2005). Help young children develop observation and memory skills by inviting them to play “hide and seek” with a favorite stuffed animal. Tuck the animal behind or inside a book like you see in my blog pic below and challenge the kids to find it. Ask where it was last found. Hide the toy in different places around your classroom or storytime section of your media center to keep the kids interested. Animating cuddly animals is an opportunity to introduce young children to different languages of the world as well. If you can get your hands on a stuffed deer, you can speak to it in French with another popular term of endearment for children: ma bichette; that in English means my little doe. Little lamb, little deer, make room for a small goat, and help children learn a bit of Spanish: mis cabritos, that translates (with young children I use the term, turns into rather than translates) into English as my kids; my small goats. If your classroom or library has a stuffed bumble bee, pick it up along with one of your favorite children’s books and explain to your class that in Australia, the cuddly bumble bee in your hand would call this book, the bee’s knees – that’s Australian slang for the absolute best! Grab a hold of a big stuffed ape like “Harry” (I featured “Harry” in my blog of 05/16/2011 “going ape” over homework) along with a book about a visit to a zoo and introduce them to the Chinese word Xing Xing, meaning (in English) both star and ape. Search online or in teacher supply stores for copyright-free printable or pre-printed outlines of animals. Give copies to students to color and keep to list the books they’ve read. You can even set up a Lucky Lamb’s (or other animal) Reading Club for Kids to join. The children will love you for it and they’ll love the learning they do with the cuddliest member of class.